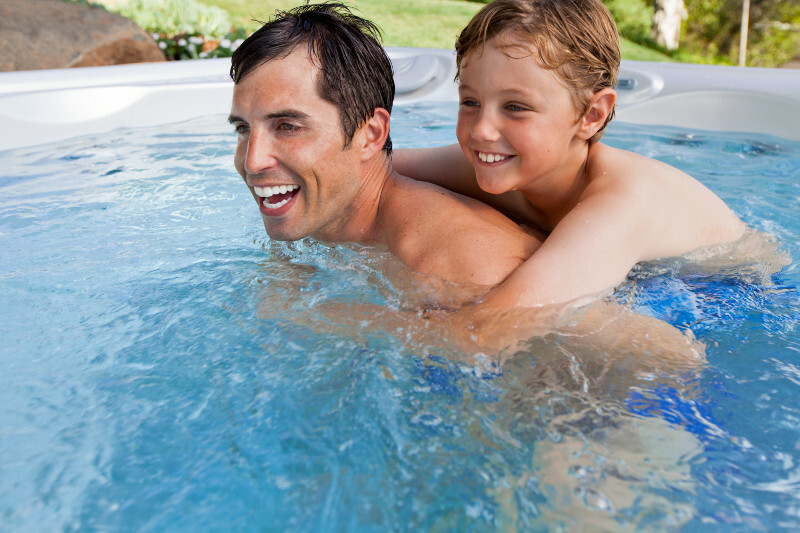 For Dad’s Day, why not surprise him by upping the “cool factor” of your Hot Spring Spa? June 8, 2018 – Father’s Day is just around the corner! If you are a Hot Spring Spa owner, I’m sure Dad loves retreating to the hot tub for a much-deserved soak. Hot Spring, being such a hot tub innovator, has so many options available to make your hot tub the cool place to be! Perhaps for Father’s Day, you can surprise the guy in your life by ordering one (or more!) of these neat features to add to your existing Hot Spring Spa. Wireless Entertainment. Nothing is cooler than being able to hang out at the hot tub with friends and watch a movie or a game. Now, with Hot Spring’s Wireless Entertainment System, you can do just that! The 22” HD Wireless Monitor allows you to stream anything from your home you choose to watch: ESPN, a movie from Netflix, or choose to just play music with the Bluetooth It gives outdoor entertaining a whole new meaning! If your guy (and the rest of you!) are always on the go, this might be the perfect option to add to your tub. Connextion is a remote monitoring system that lets you know what’s going on with your tub when you’re away. It allows you to lower the temperature, lock the controls…it also alerts your Hot Spring dealer if there’s something going on with the tub that might require a service call. You’ll love the connectivity and the peace of mind it provides. Be sure to check with your local Hot Spring dealer to be sure these features can be added to your model year tub. Then, think about one of these cool ideas to help celebrate Dad in style!